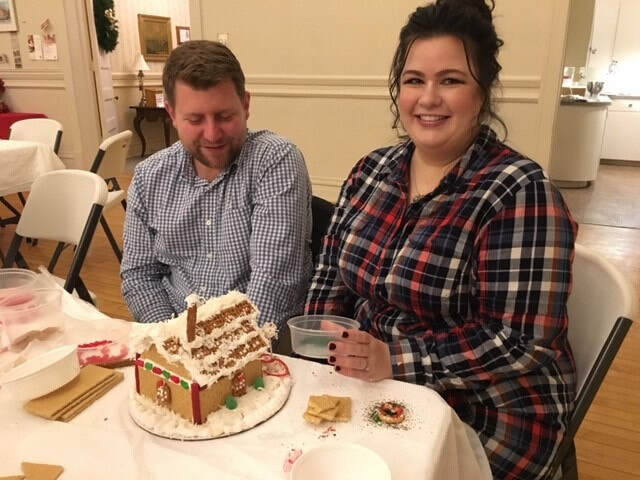 ​Thanks to a large number of volunteers and almost 300 people, we successfully built 189 Gingerbread Houses in 2018! This fun event was attended by several people who have come every year for at least the last 10 years. Some of our attendees attended first as children and now are back, bringing their own children. We also hosted several dozen people for whom this was a first event. 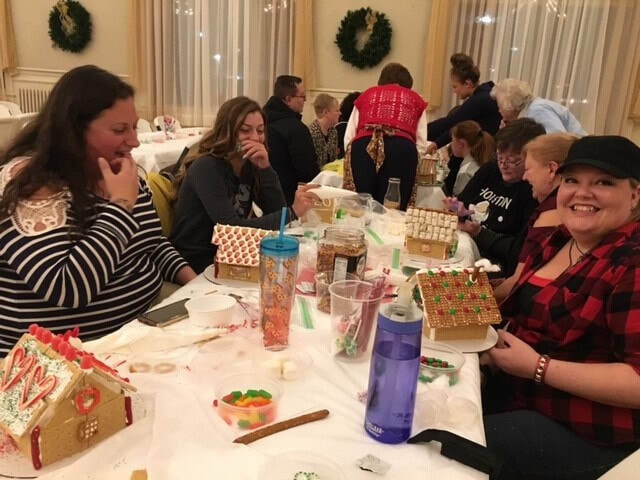 Building Gingerbread Houses has become a well-loved tradition for many families. We provide the location and all of the goodies needed to build the houses - you provide the fun! Santa and Mrs. Claus also visit each year for pictures with the kids. 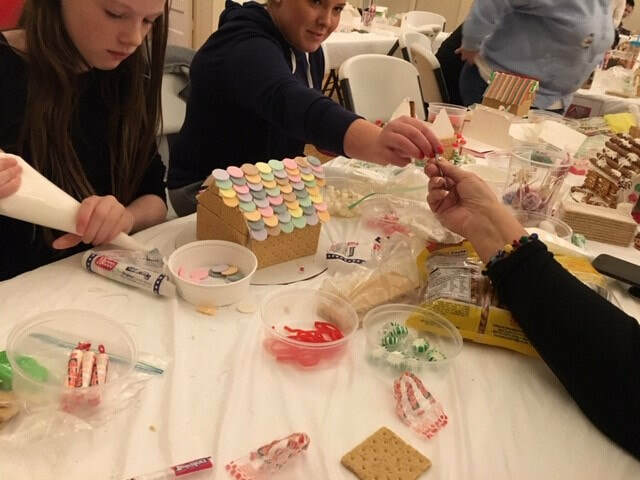 One of the beautiful Gingerbread Houses created by a participant.